Mohini Movie Cast, Crew and Story: Hello, Everyone Today I am going to share some exciting facts on the Film Mohini Cast, Crew and Story. Trisha is an actress and a model. She is well known for the movies such as Mounam Pesiyadhe, Saamy, Lesa Lesa, Manasellam, Ghilli, Aaytha Ezhuthu, Nuvvostanante Nenoddantana, Unakkum Oakum, Aadavari Matalaku Arthale Verule, Abhiyum Naanum, Kuruvi, Vinnaithaandi Varuvaayaa, Khatta Meetha, Samar,Endrendrum Punnagai, Sakalakala Vallavan, Aranmanai 2 Nayaki, Kodi and Mohini. Jackky Bhagnani is an actor. He is well known for the movies such as Welcome 2 Karachi, Youngistaan, Ajab Gazabb Love, Rangrezz, Faltu, Kal Kissne Dekha, and Mohini. Suresh is an actor. He is well known for the films such as Aval, Janatha Garage, Azhagu Kutti Chellam, Lion, Adavi Kaachina Vennela, Saivam, Thalaivaa, Puthagam, Sattam Oru Iruttarai, Srimannarayana, Kadhalil Sodhappuvadhu Yeppadi, Sattapadi Kutram, Vallakottai, and Mohini. Poornima Bhagyaraj is an actress. She is acting in the films such as Mupparimanam, Vaaimai, Aadhalal Kadhal Seiveer, Aduthathu Albert, Vidhi, Neengal Kettavai, Mundhanai Mudichu, Antha Sila Naatkal, and Mohini. Ramana Madhesh is a director. He is well known for the movies such as Madhurey, Arasangam, Mirattal, Friends, and Mohini. S. Lakshman Kumar is a Producer. He is well known for the films such as Singam 2 and Mohini. R. B. Gurudev is a cinematographer. 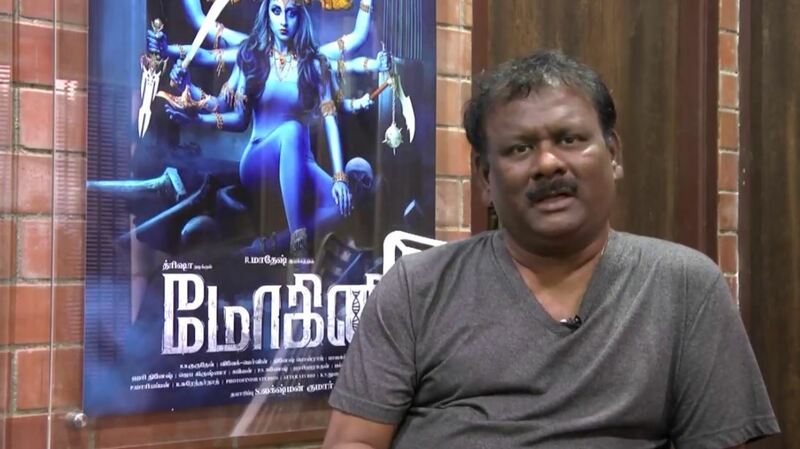 He is well known for the movies such as Irumbu Kuthirai, Kanchana 2, Megha, Vathikuchi, Aadhi Bhagavan, Chikku Bukku, Yogi, Rameswaram, and Mohini. Vivek—Mervin is the music directing duo. They are well known for the films such as Gulaebaghavali, Dora, Pugazh, Vadacurry, and Mohini.